A few stocks I held (ST Engineering, Starhub, NeraTel, Soilbuild, ComfortDelgro) paid out dividends this month. As the old saying goes “Sell in May and Go Away“, I certainly did not follow. Taking opportunity of disappointing financial results, I nibble more of ST Engineering and added Kingsmen Creatives into my stock portfolio. Kingsmen Creatives have been on my watch list for quite some time. One of my fellow financial bloggers like B at A Path to Forever Financial Freedom is vested with 80,000 shares. At current price, the dividend yield should be around 4.76%. 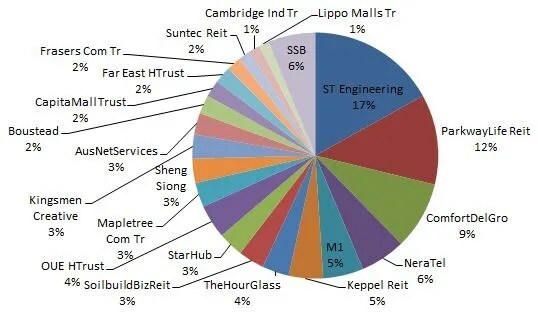 I nibble more of ST Engineering and shall add more if the share price fall below S$3.00. The share price fluctuates a lot between S$3.06 to S$3.18. Land Systems and Marine sector revenue decline this quarter however, the losses are offset by profit gains in the Aerospace and Electronics sector. I have also started building my spouse portfolio. My Sweet Retirement should become Our Sweet Retirement!